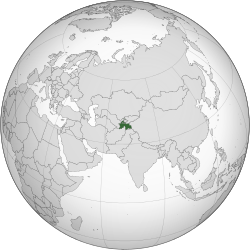 "Tajikistan". The World Factbook. Central Intelligence Agency. ↑ "World Population Prospects: The 2017 Revision". ESA.UN.org (custom data acquired via website). United Nations Department of Economic and Social Affairs, Population Division. Retrieved 10 ᱥᱮᱯᱴᱮᱢᱵᱚᱨ 2017. ↑ ᱔.᱐ ᱔.᱑ ᱔.᱒ ᱔.᱓ "Tajikistan profile at". International Monetary Fund website. Archived from the original on 29 ᱢᱟᱨᱪ 2018.